The portfolio for former Ubisoft artist Benoit Perreault contains images from a project called Assassin's Creed: Duel. 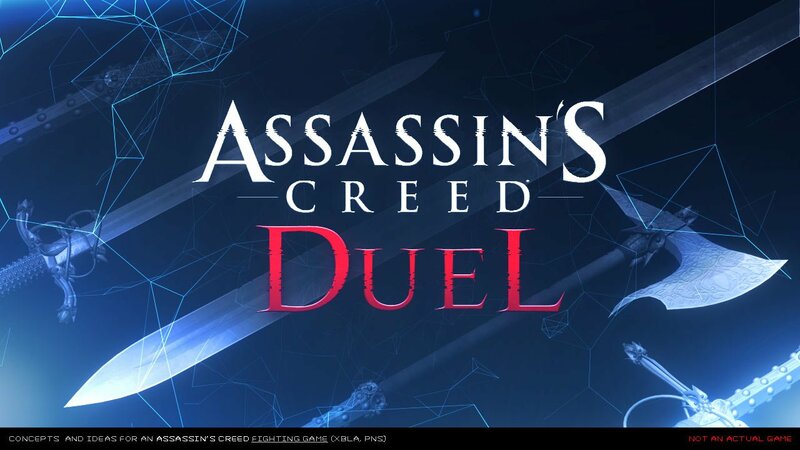 Duel is a fighting game based on Assassin's Creed dreamed up by Perreault. Assassin's Creed: Duel images were only done as fan art. They were not commissioned by Ubisoft, and are not from a real game," says a new intro page to his portfolio. He appears to have added that introduction after the pictures were unearthed by NeoGAF and were subsequently reported on both various news sites. 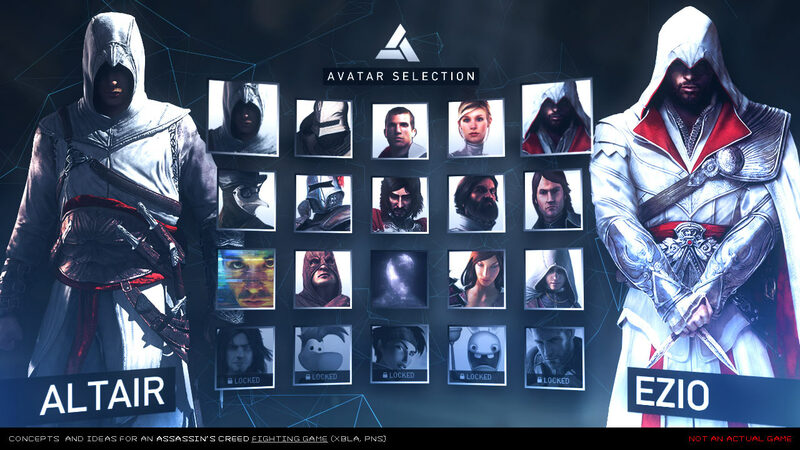 The character select screen for the fake game contains the protagonists from the AC campaigns, as well assorted allies, enemies and multiplayer characters. The unlockable "secret" characters are all from other Ubisoft series, like Rayman and Splinter Cell's Sam Fisher. Beyond Good and Evil's Jade presence in the menu should've been your first hint that this game is fake, as Ubisoft is in no rush to release another BG&E game. I'm glad this isn't a real game. The most interesting aspects of Assassin's Creed are the open-world exploration, parkour and battles against multiple opponents at once. A one-on-one fighting game has none of that. It would've been just an easy cash-in on the series' name. 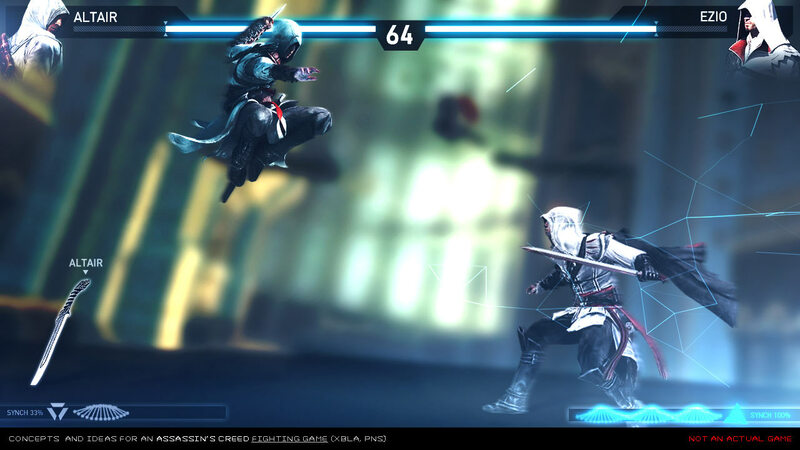 If you want an Assassin's Creed fighting game, the closest you'll get is playing as Ezio in Soul Calibur V.
For now, Ubisoft is sticking to open-world Assassin's Creed games. The next entry in the series, Assassin's Creed 4: Black Flag, will arrive this fall.